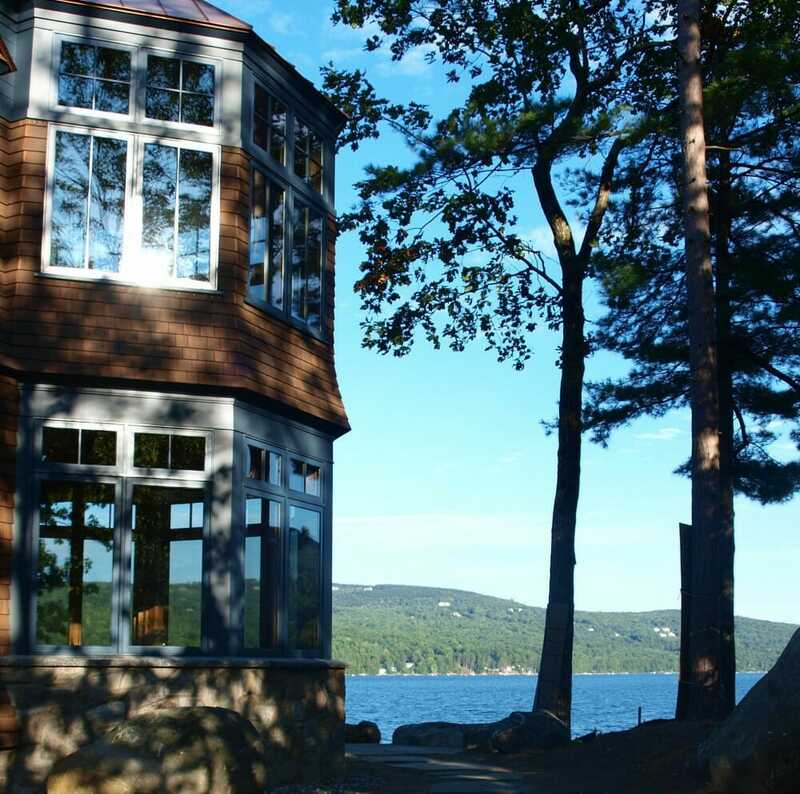 The Saghir Residence is an Adirondack style home in Newbury, NH right on the lake. 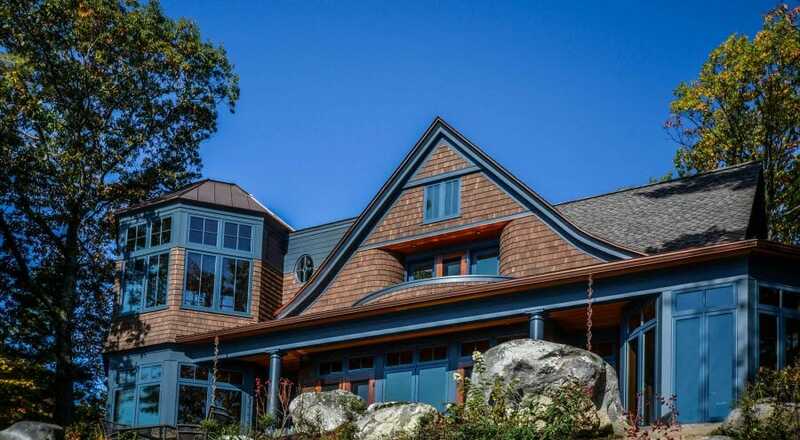 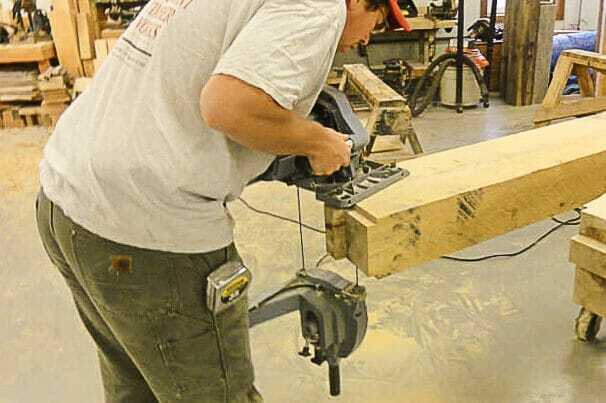 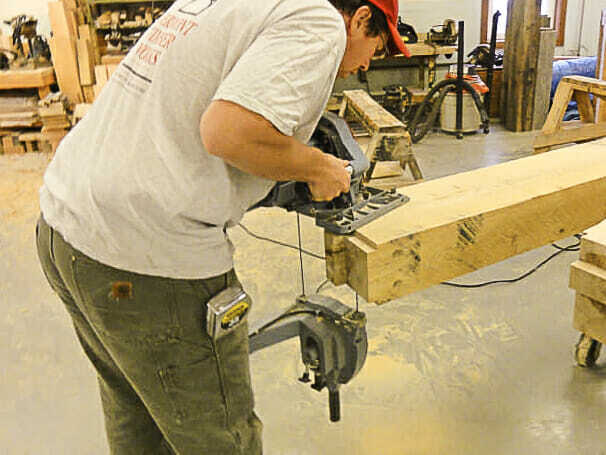 Vermont Timber Works provided a custom timber frame for this residential client. 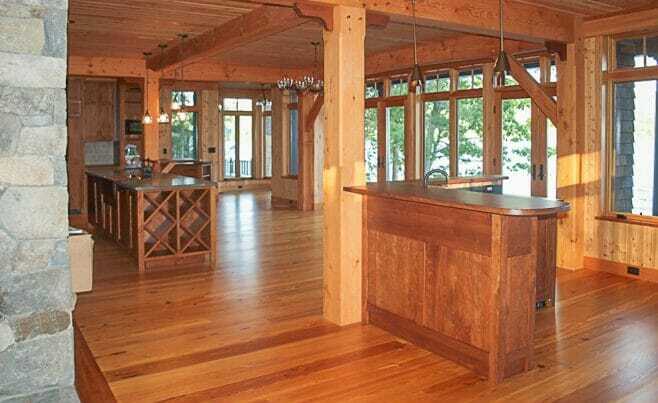 We worked with Bonin Architects & Associates PLLC and McGray and Nichols, Inc. on this project. Bonin Architects also photographed the home. 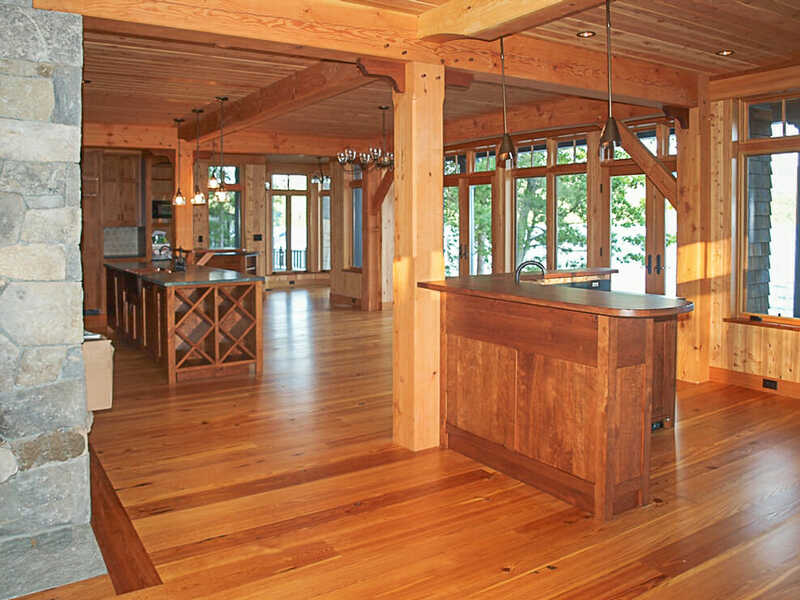 The home features both douglas fir and cherry wood. 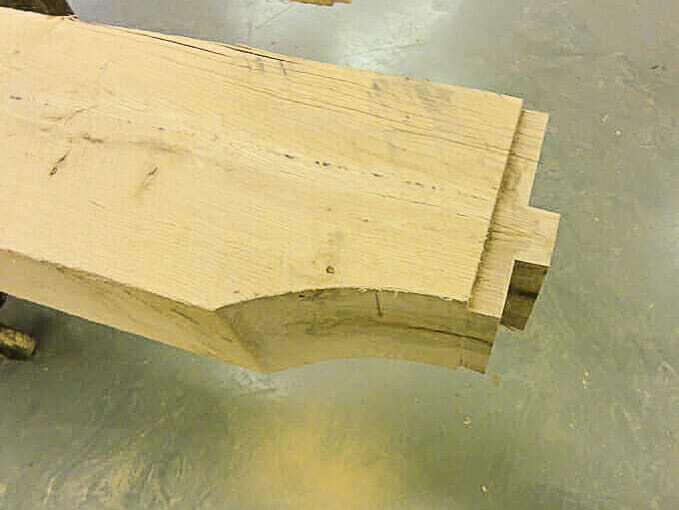 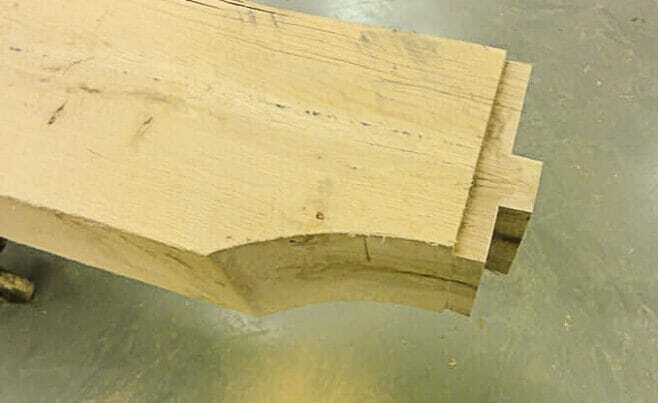 The corbels are cherry and the beams are douglas fir.